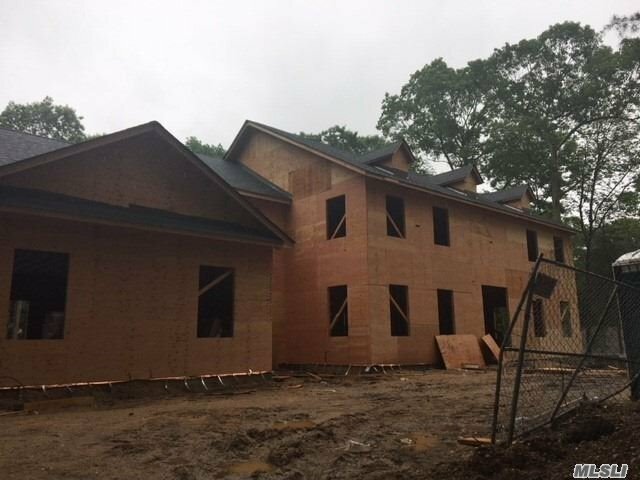 New Home Being Built On 1 Flat Acre Property In The Heart Of Dix Hills. Over 6 Thousand Sq Ft. Magnificent Castle! Master Craftmanship, 5 Br. 4.5 Bths. Open Layout, Amazing Crown Moldings, Tray Ceilings,Ceramic And Wood Floors 9 Ft Full Basement W/ Ose. Spacious Master Suite W/Jacuzzi Bth. Top Of The Line State Of The Art Kitchen. 3 Car Garage On A Flat 1 Acre Property.